A unique Freeman 22 Mk1 that boasts upgrades that are far beyond any I have seen on a small Freeman. She has a Bow Thruster, warm air heating, a calorifier and hot water, shore power, battery management, fuel, water and holding tank gauges, 7 sockets in saloon, digital tv and aerial, bathing platform and so on. In 2015 she had a new gearbox, in 2018 she had a new water pump and belts, batteries, a full service, shaft packing and so on. She is not your average Freeman 22 Mk1 by a long way due to having had over £25,000 spent on her not too long ago. The refurbishment details were featured in Motor Boats Monthly magazine in 2010. The only area in need of attention are the 2 panels at either side of the cockpit where water has caused damage. These are clearly shown on the pictures. Otherwise I can't fault this amazing little boat. She comes with a complete inventory to include cushions, crockery, glasses, mugs and kettle. 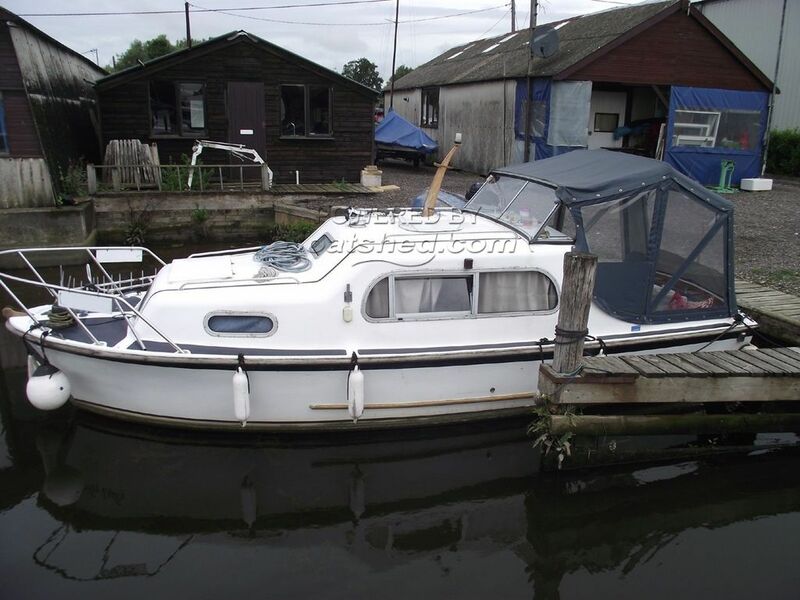 This Freeman 22 has been personally photographed and viewed by Gary of Boatshed Norfolk. Click here for contact details.